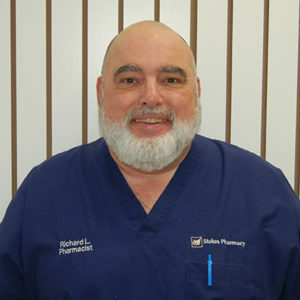 The Stokes Pharmacy family is mourning the loss of Richard Lopilato, RPh who passed away on November 19, 2018. Richard has been an instrumental part of our organization for the past 20 years. He was beloved by the veterinary community whom he interacted with on a daily basis. He truly was the perfect addition to the Stokes family. His passing is a great loss to all those who have had the privilege of knowing him. Richard will be greatly missed; however, his legacy will live on at Stokes.